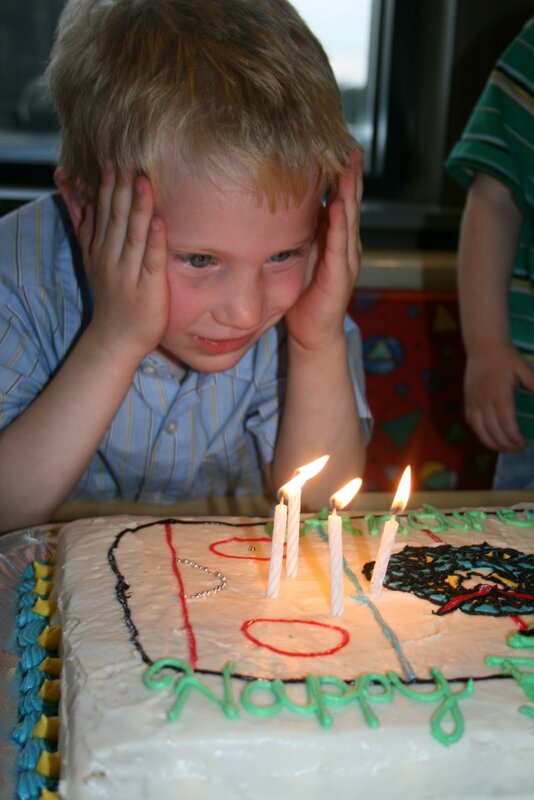 We celebrated Andrew’s fourth birthday party this past weekend. He invited his entire class from school as well as his friends from our small group at church. There were fifteen children hoopin’ and hollerin’ everywhere! 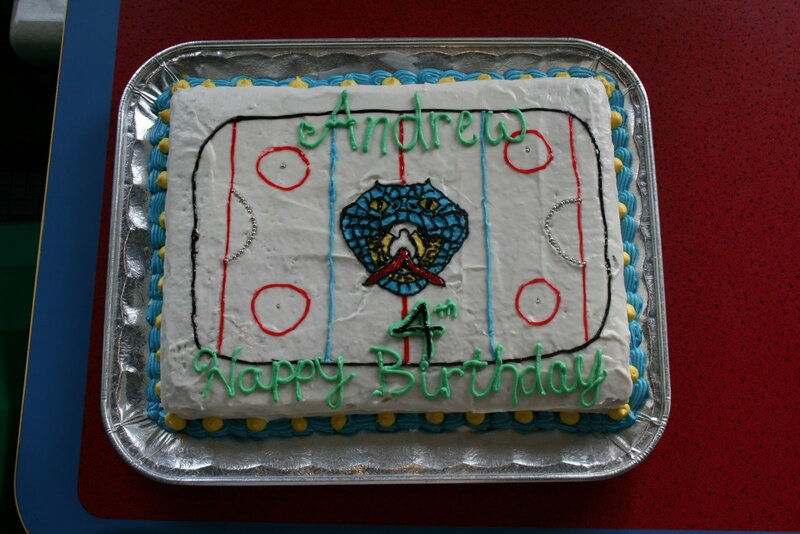 Andrew’s only special request was to have a hockey cake, so I asked my friend, Tera, to make it for him. Tera even went as far as to make it extra special by putting the local minor league hockey team mascot on the center of the “ice” rink. Andrew loved it! 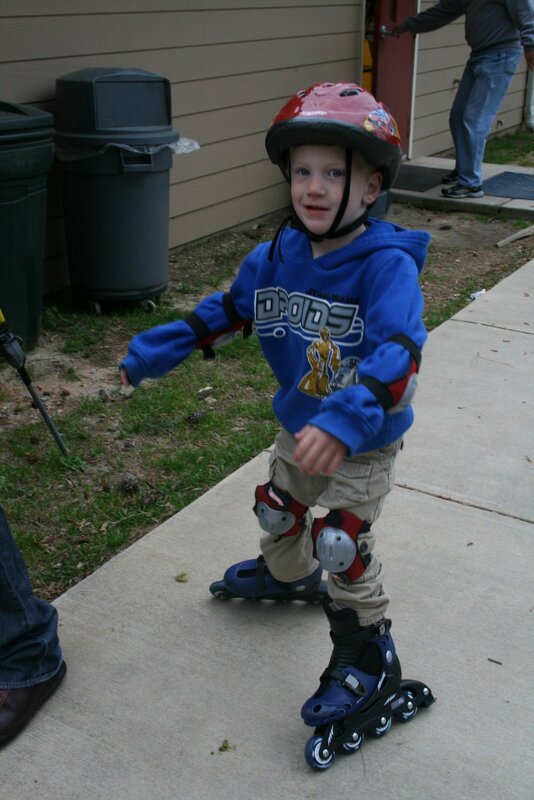 Mitch and I gave Andrew something he’s been asking for FOREVER….a pair of inline skates. I was amazed at how well he skated the first time he put them on. He didn’t want any help! 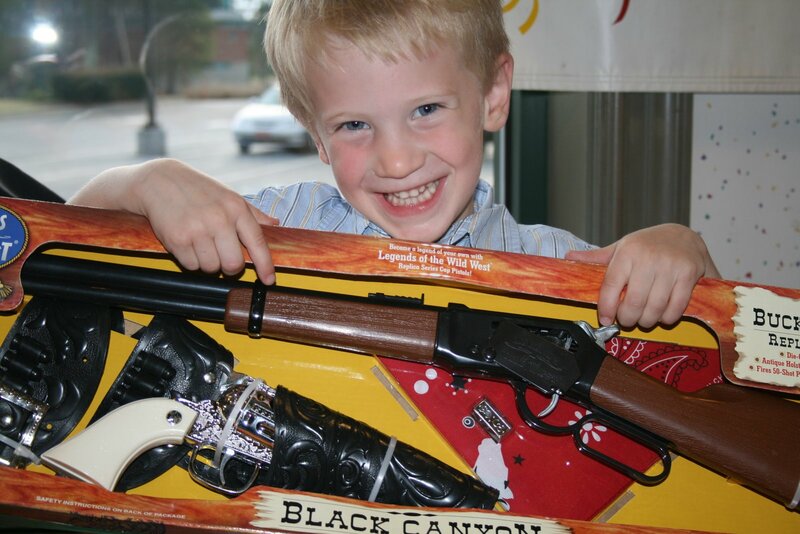 Southern boy with his first play guns 🙂 How sweet! Happy Birthday Andrew! (jawan… i love reading your blog)!